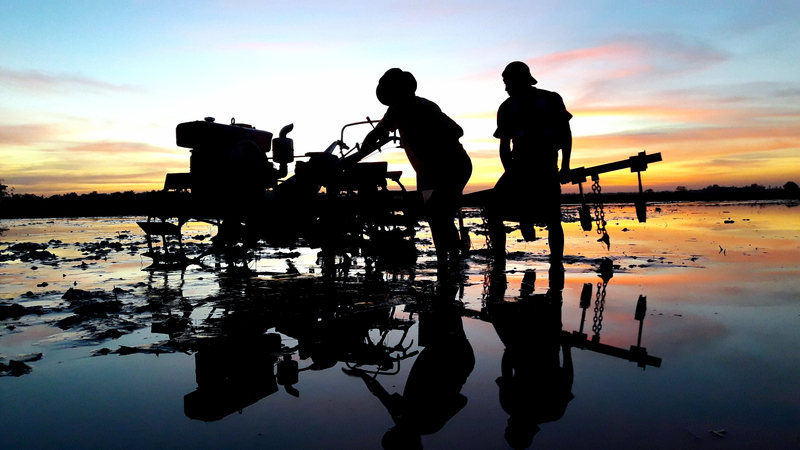 Farmers and rural entrepreneurs generally find it hard to access credit. Women find it particularly difficult, for a variety of reasons, e.g. : lack of collateral (e.g. title deeds), no credit history, and cultural stereotyping among others. 2SCALE interventions are designed to overcome these biases. Selection of project partners and beneficiaries is deliberately skewed in favor of women. Venues and timings for training programs are chosen to maximize women’s participation. Most activities have numerical targets for gender equity. Gender Role Sensitization Pictorials such as this are increasing women empowerment in Kenya. Another measure, now being developed, is a simple toolkit to improve financial literacy among women. The toolkit, developed by consultant Jacqueline Terrillon, uses pictorials and practical examples to highlight gender biases, and then introduces basic financial concepts, especially credit and savings options suitable for women farmers and entrepreneurs. It will be used by agribusiness coaches working at community level, and by financial institutions seeking to make their product portfolios more women-friendly. The toolkit works by asking simple questions about gender roles (or biases) and their impact on household or farm finances. It then guides the development of solutions or changes in practice based on the answers such as: In your household, who manages the money? Who decides on when and how much to save? Do you have a joint bank account? A simple exercise can be an eye-opener – for example, drawing ‘gendered’ calendars for farming tasks and for expenses. Men and women have a very different timetable of daily activities, and very different income and expenditure patterns. Once these difference are put down on paper, it becomes much easier for grassroots actors (both men and women) to see the challenges, and begin to address them. A workshop held in Nairobi, Kenya, from October 23-24, brought together a diverse group to discuss the first draft of the new toolkit. Participants included 2SCALE staff, capacity-building specialists from three business support services, and representatives of two partner financial institutions, APA Insurance and KCB Bank. Feedback on the toolkit was very positive. Business support services have suggested a few specific changes to tailor it to particular value chains, e.g. rice or potato. Financial institutions see new partnership opportunities that match the companies’ vision. Take KCB Bank for example: a large proportion of their agribusiness borrowers are women, and the bank is keen to work with 2SCALE to increase this number further. With communities that are aware and organized, and private-sector partners who share our vision, the toolkit (and other interventions being developed) will be rolled out in 2019 to help women get the financing they deserve.